Data Sources Pre-convention information is based upon historic newspapers: New Hampshire Patriot, 2/9/1843 to 3/14/1844; Albany Argus, 3/9/1843; Pittsfield Sun, 3/9/1843 to 4/20/1844; Barre Gazette, 4/28/1843; Farmer's Cabinet, 5/5/1843; Berkshire County Whig, 11/9/1843. After President Tyler’s break with the Whig Congress in 1841, the Democrats faced a dilemma. They were angry that Tyler helped Harrison defeat Van Buren in 1840. Although Tyler appointed several leading Democrats to his Cabinet, and although the Democrats in Congress supported him against the Whigs, the Democrats did not consider Tyler to be a true Democrat. Widespread discontent with Congress resulted in a Democratic sweep of the midterm elections of 1842-1843, giving them a 142-65 margin in the U.S. House. Throughout 1843, several Democrats actively pursued the nomination for President. The newspaper the Farmer’s Cabinet listed the following contenders on 5/5/1843: Martin Van Buren and John C. Calhoun, the two leading contenders, and the lesser aspirants Richard M. Johnson, Lewis Cass, James Buchanan, and John Tyler. The Democrats spent much of 1843 trying to decide where to hold their national convention. Missouri Democrats met in 1/1843 and called a national convention on 11/27/1843. Indiana Democrats endorsed the idea and asked that the convention meet in Cincinnati. Maryland’s Democratic legislators recommended that the convention meet in Baltimore on 5/6/1844. Since no mechanism had been set up to make these decisions, the various state conventions began to weigh in on the question. In general, the Calhoun forces argued for the later date to allow them more time to wage a campaign against Van Buren. When Pennsylvania and Mississippi chose the later date and did not choose delegates, the decision seemed to have been made by default. Baltimore City Democrats chose the date of 5/27/1844 for the national convention and appointed a committee to make the arrangements. Delegates to the national convention were appointed in the various states throughout 1843. As the conventions were held, local Democrats were reading through responses of the contenders to a list of questions drafted by the Indiana Democratic convention. By the time of the Louisiana Democratic convention on 2/8/1843, rumors were circulating that Calhoun might switch parties if he were not nominated, and this rumor was repeated in the newspapers throughout 1843. The struggle between Van Buren and Calhoun was the first party campaign in which the numbers of delegates won was monitored by the newspapers. 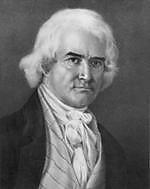 Van Buren delegates defeated Calhoun throughout the nation – winning solid delegations in Massachusetts, New York, Maine, and New Hampshire. Calhoun only won South Carolina and Georgia. Kentucky chose delegates pledged to its favorite son Richard M. Johnson, and Pennsylvania appointed Buchanan delegates. The New Hampshire Patriot reported on 10/5/1843 that the delegate count stood at Van Buren 64, Calhoun 13, and Johnson 12. In a critical vote in Connecticut, Van Buren won the state’s delegates by a margin of eight over Calhoun, 11/8/1843. Pennsylvania’s 26 delegates were pledged to Buchanan, who formally withdrew from the race on 12/14/1843. For the first time, state conventions began to recommend candidates for VP as well. A county convention in NC recommended either Gov. James Knox Polk TN or William R.D. King AL, both born in NC. 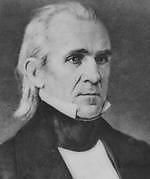 Polk was then officially placed in contention for VP by the Tennessee state convention on 11/23/1843. The Ohio Democratic convention appointed delegates pledged to Richard M. Johnson on 1/8/1844. As the year 1844 began, it was obvious that Van Buren was headed for victory. The critical convention was Louisiana, which met on 1/8/1844. Van Buren defeated Calhoun by a margin of 87-30 to win all delegates. Pennsylvania’s state convention was held 3/4-7/1844. Van Buren won all delegates with 91 votes to 35 for Richard Johnson and 1 for Lewis Cass. Two events completely changed the political situation. On 3/6/1844, Calhoun became Tyler’s Secretary of State and dropped his flagging presidential campaign. Calhoun worked with Tyler to accomplish the annexation of Texas. 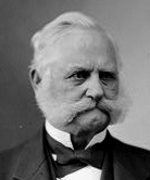 Former President Jackson wrote a letter which was printed in the newspapers, supporting annexation. Just before the Democratic convention, Van Buren submitted a letter which stated that annexation would result in war with Mexico. This letter caused an immediate chorus of support in the North and opposition in the South. The 4th Democratic National Convention was held in the Odd Fellows Hall in Baltimore MD. Each state was allotted one delegate per electoral vote, for a total of 266, though there were 325 delegates on the floor. Necessary for nomination: two-thirds, or 178 votes. With Calhoun out of the race, South Carolina’s delegates did not bother to attend the convention. For the first time, the national convention gave the credentials committee guidance on how to perform its duties. The only issue for the committee was what to do with Louisiana, which only had two delegates present but was allotted six votes. Although the committee recommended the state only cast two votes, its two delegates in fact cast all six votes of the state in roll calls. The other major contentious issue before the convention was the two-thirds rule, which was discussed with the rules committee report. Van Buren came into the convention with a majority of the pledged delegates, but annexation Democrats recognized his weakness and insisted on maintaining the two-thirds rule. The convention voted 148-118 to maintain the two-thirds rule following a long, heated debate. When the first presidential ballot was taken, Van Buren received 146 votes (55%), 32 votes shy of victory. Cass placed a surprisingly strong second place with 84 (32%). The convention took six additional ballots, in which Van Buren slowly lost delegate votes. Cass took the lead on the fifth ballot and held it on the following three ballots. After the seventh ballot, a Van Buren delegate stated that since Van Buren had a majority on the first ballot, he should be given the nomination. When the chairman would not budge, the Governor of Ohio joined the cause of the delegate. The situation got so bad that in an effort to restore unity, Johnson and Buchanan withdrew from the race. Van Buren supporters complained that delegates who had been chosen by his efforts were abandoning the cause. Finally the 8th ballot was taken. Cass’s plurality was reduced, but he still led 114-104. Four states cast their votes for James Knox Polk, the VP contender. At this point, Virginia and New York withdrew to caucus and the convention hall fell into total disorder. As the 9th ballot began, the Governor of New Hampshire called for the nomination of Polk as the best chance to restore harmony among the contenders. As the roll was called, many states passed due to increased support for Polk. When Virginia was called, Polk was leading Cass 74-20 with no other votes. Although Virginia had supported Cass throughout earlier ballots, it cast all votes for Polk. A Van Buren floor manager produced a letter from the former president in which he authorized his team to withdraw his name if party harmony required it. 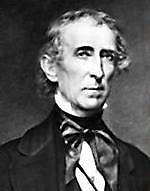 The states which had already voted shifted their votes to Polk, who was nominated unanimously. News of Polk’s nomination was sent to the Democratic members of Congress by telegraph, and after twenty minutes, a response was received from Washington DC. George M. Dallas was nominated for vice president on the third ballot. Between the first two VP ballots, a committee was appointed to prepare a platform. Just prior to adjournment, the convention appointed a committee of 15 men which formed the nucleus of the future Democratic National Committee.